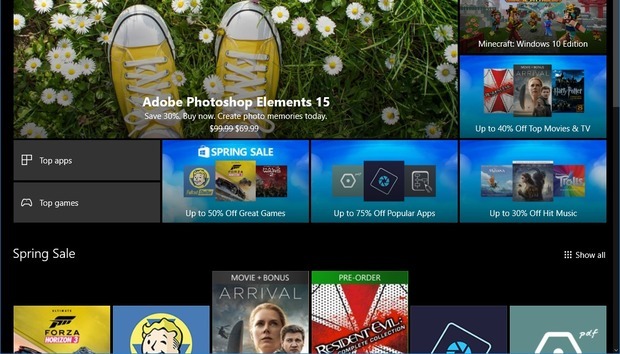 Microsoft is taking the risk out of buying games and apps from the Windows Store. The company recently announced via the Xbox One Insider app that Insider testers can now request refunds for digital products, as first reported by VentureBeat. The new policy means people can purchase an expensive game such as Gears of War 4 or Forza Horizon 3 knowing they can get their money back if there are any problems. Some games have technical issues at launch, for example, or fail to work on certain systems even if that PC meets the game's technical requirements. Microsoft representatives stressed to VentureBeat that this program is just a test at this stage, however, available only to select Windows and Xbox Insiders. Users must request refunds through their Microsoft account at account.microsoft.com. On top of that they must meet a number of requirements, some of which resemble Steam's refund policies. Similar to Steam, users must request a refund within 14 days of purchase and have less than two hours of play time across all their accounts. In addition, the game must be downloaded and launched before requesting a refund. Presumably, Microsoft doesn't want to encourage people to seek refunds due to buyer's remorse, though getting around the launch requirement would be relatively simple for those who really want a refund. Microsoft won't provide refunds for a game's DLC content, which Steam does under limited circumstances. Season passes and add-ons are also ineligible, and some apps won't be covered by Microsoft's new Windows Store return policies. The company also warns that anyone who abuses the system may be blocked from using it. The story behind the story: The introduction of a return policy makes purchases on the Windows Store and Steam similarly risk-free. But it will still be a slog to pull people away from Valve's popular storefront where gamers already have expansive game libraries. Microsoft's Play Anywhere program does give the Windows Store a unique advantage, but only to those gamers who play on PCs and the Xbox One. Another thing the Windows Store could do to encourage more gamer interest is to create sales that are on par with Steam's frequent discounts. Things are looking up on that end as the Windows Store recently launched a spring sale with some games, such as Gears of War 4, on sale for 50 percent off the sticker price.